Injuries in a slip and fall accident are not at all laughing matters, especially if the person being hurt by this incident is you. If you’ve found yourself in a slip and fall accident in the area of Miami Springs, then the best Miami Springs slip and fall lawyer should be on your mind after your accident. You should not have to suffer for careless work, and the responsibility may lay on the company or corporation who could have had a hand in creating the unsafe environment. Wolfson Law Firm’s lawyers have decades of service in dealing with slip and fall cases all over Miami-Dade. Available 24/7, they offer not only bilingual help, but free consultations that will help you determine if pursuing the case is in your best interest. They are only a phone call away at (305) 285-1115, where our Miami Springs personal injury and wrongful death attorneys are standing by to help you work through your pain and ensure that you are fairly compensated for your trouble and damages. Leaving yourself in a position of doubt helps no one, especially if you’ve suffered from an incident that many leading experts have agreed is becoming one of the highest causes for injury in the United States. Miami Springs Slip and Fall Attorneys at Wolfson Law Firm have the necessary understanding to show you exactly what you’re dealing with. You no doubt have so many questions. You need and deserve answers. Our personal injury law firm and team is ready to help. Wolfson Law firm has served many communities, including Hialeah, Doral, and Hialeah Gardens, all areas that surround Miami Gardens. The Wolfson Law Firm’s Personal Injury team are ready to help you. Doing this not only helps you by getting this information from experienced professionals, but you help others that may have been in similar situations such as your own. In some cases, your decision to call an responsible party out may result in necessary changes that could ultimately prevent another member of your community from being changes. Law regarding taxes and the IRS, or real-estate are better left to those with the experience to help you in such matters. For us at Wolfson Law Firm, our decades of work in the field of personal injury law demonstrate our understanding of the effects of accidents can have on a family. We’ve represented many people who’ve been in similar situations as you. We are ready to help and to fight for you and your family so that you can get the justice and fair compensation that you deserve. Miami Springs slip and fall: what to do next? After your automobile accident: what to do? 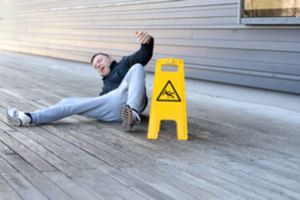 What stores in Miami Springs should be doing to prevent your slip and fall accident? All this information and more is available in our website, featuring all the communities that we have served as well as our most recent cases. Mr. Jonah Wolfson and his professional staff are waiting for your call, at (305) 285-1115.